What the heck have they been doing on the farm? 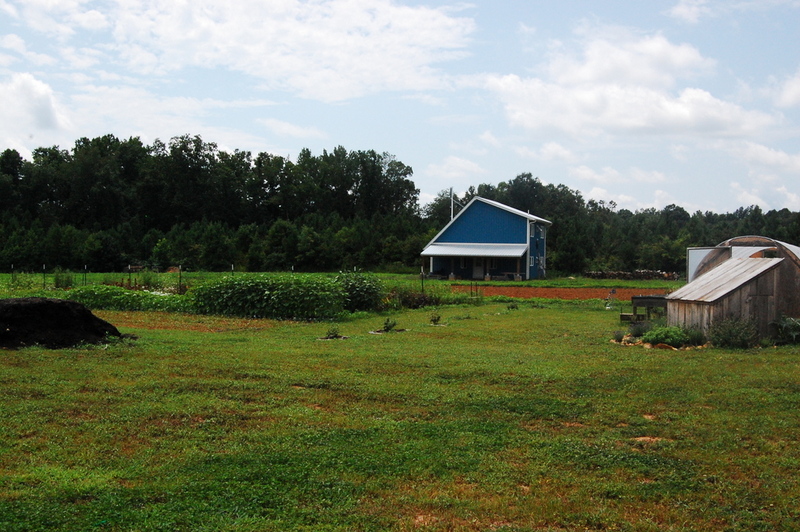 The farm and house. 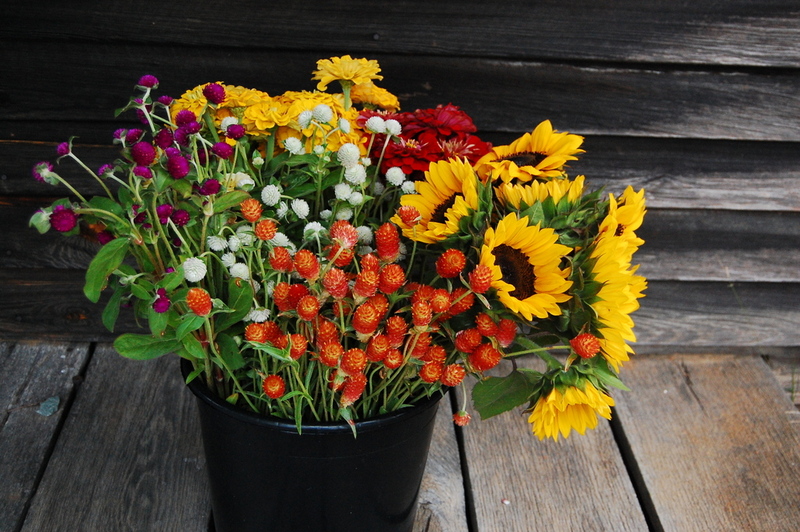 This summer’s flowers are in the front with new fields for next year in the back. Some of next spring’s flowers growing in landscape fabric for weed control. The most exciting projects we’ve been working on this year have been investments in soil health. 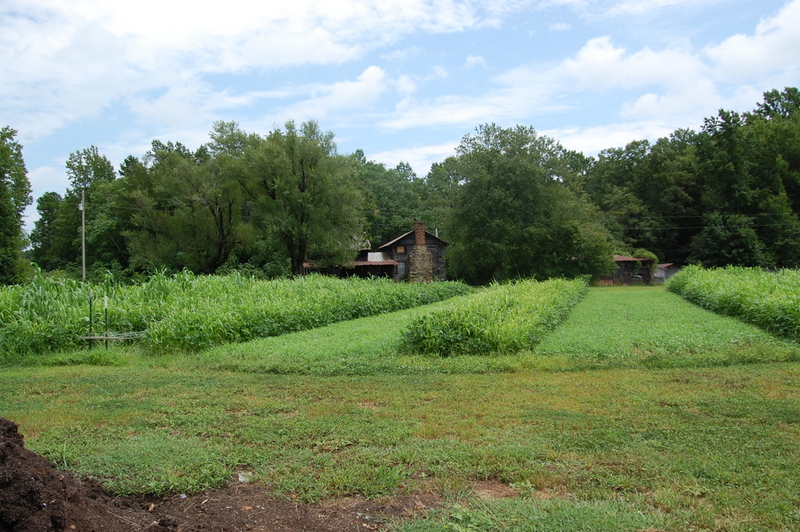 We have started a heavy rotation of cover crops that will add organic matter to the soil and help break up the clay, making it more friable. We have also experimenting with no-till agricultural practices. Tilling “burns up” organic matter in the soil and destroys the soil organisms which build healthy soils and grow healthy plants. 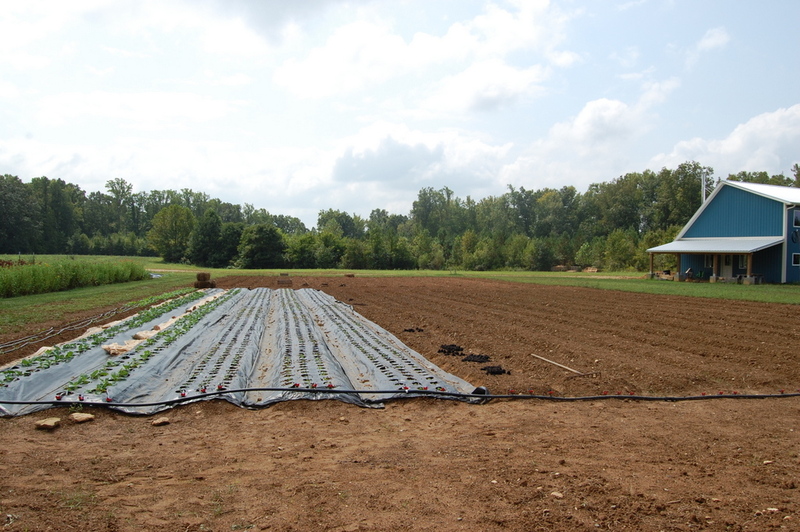 In order to make our no-till work, we are using “occultation,” a process of using tarps to create an environment that encourages decomposition. We learned about this method from Bare Mtn Farm in Oregon and from Jean-Martin Fortier in Quebec. We have been using cover crops to build our soil. 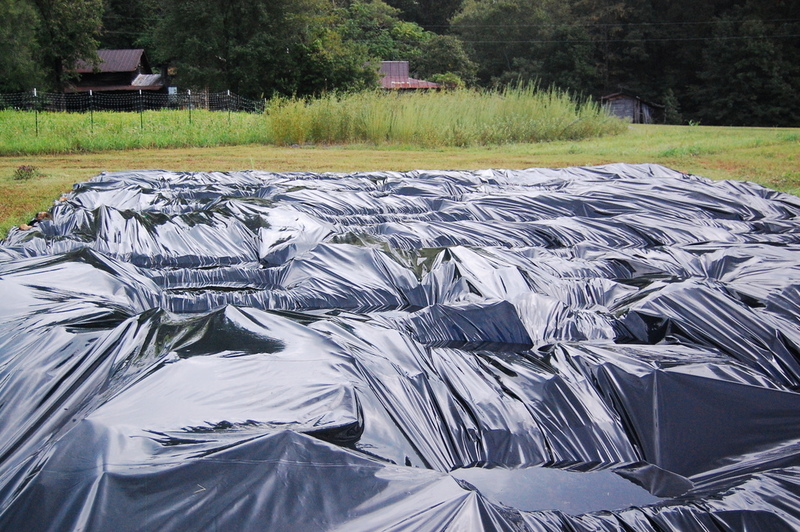 Occultation is a techniques that uses tarps to speed decomposition and build soil. 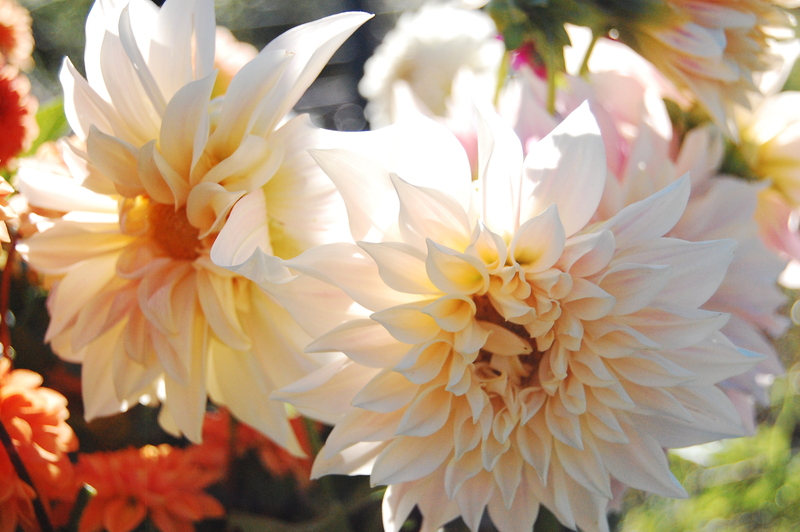 While we have been planning for next year, our flower business has been growing by leaves and blooms. Our DIY Buckets have been very popular this year. 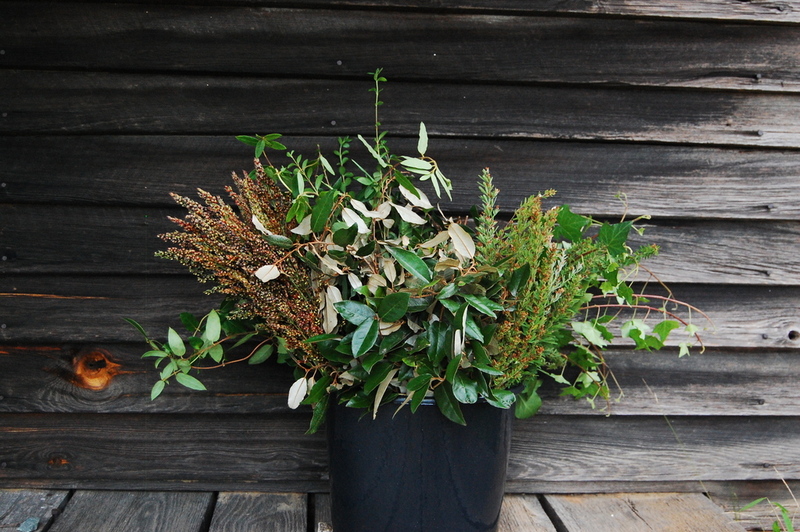 We have started offering buckets of foliage as well, which really makes the flowers stand out and is an economical way to make the flowers go further. 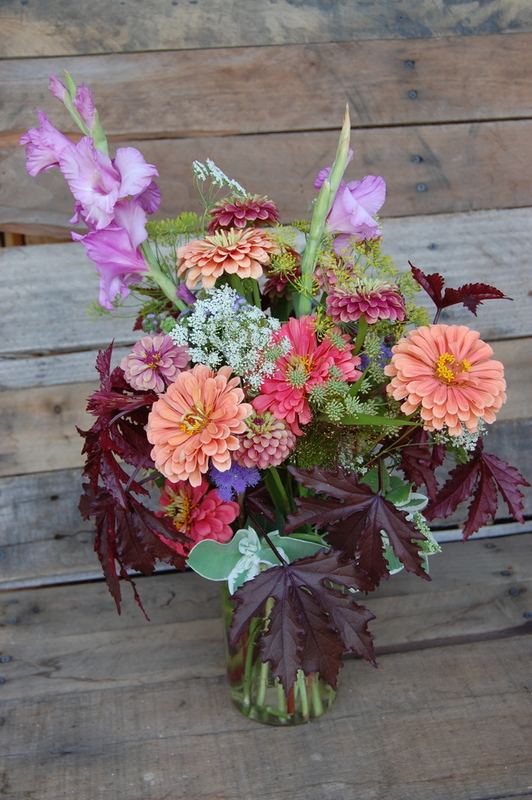 In addition to doing weddings and events, we do weekly arrangements for businesses. Here are a couple examples of our business arrangements. 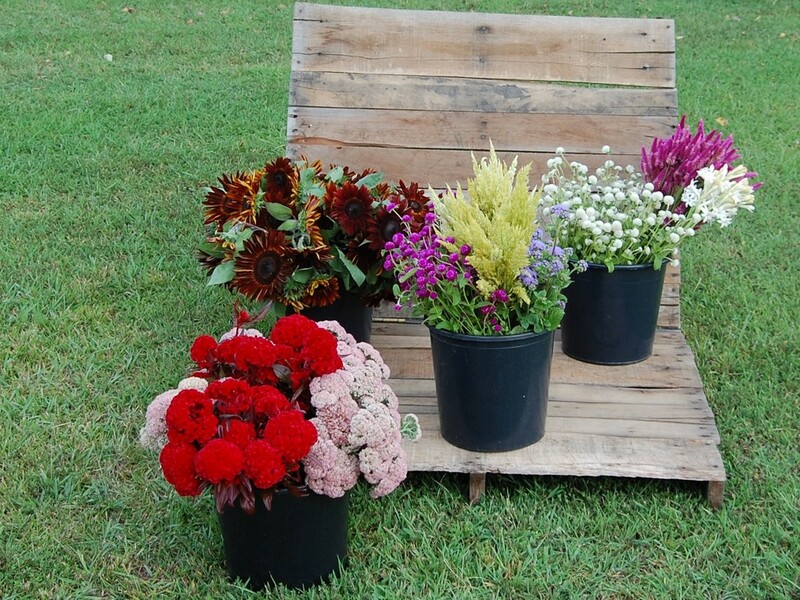 In addition, we are considering starting a flower CSA subscription program next year with pick up near downtown Hillsborough. 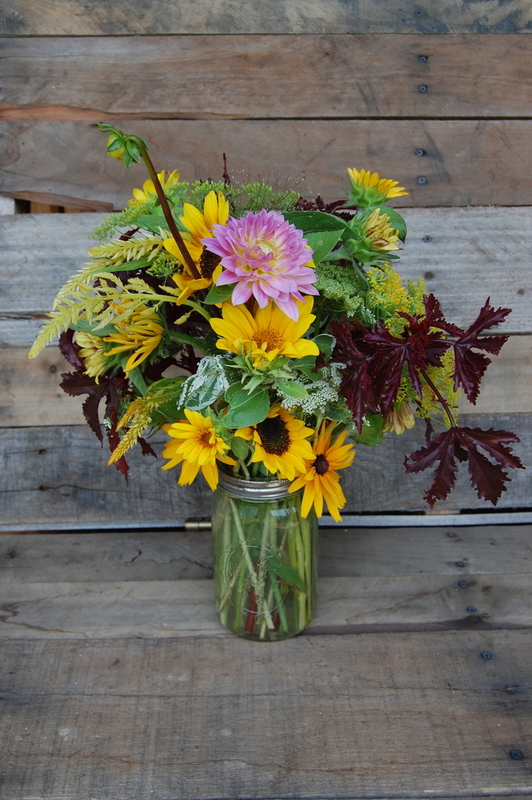 Are you interested in getting weekly flowers for your business? 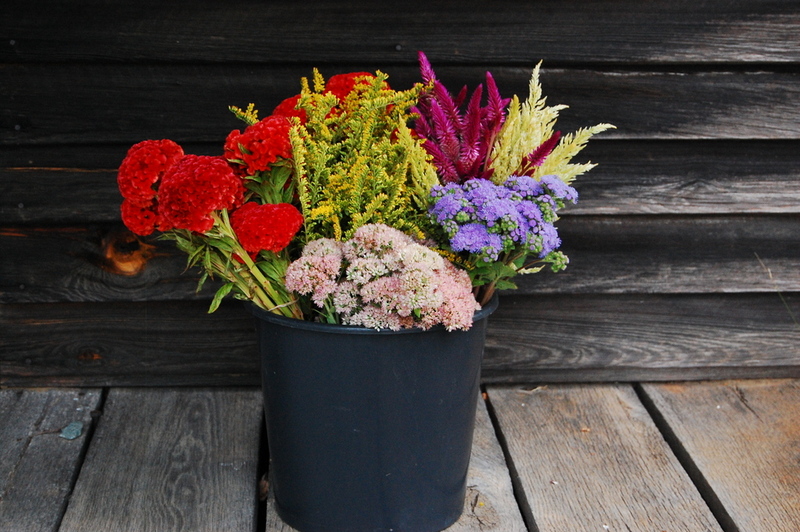 Would you like to join the flower CSA? If so, please contact us. What you have accomplished is utterly amazing. Congratulations. You all have been doing a heck of a lot!!! Well done, and well written! Your photos are worth a thousand words – keep them coming.